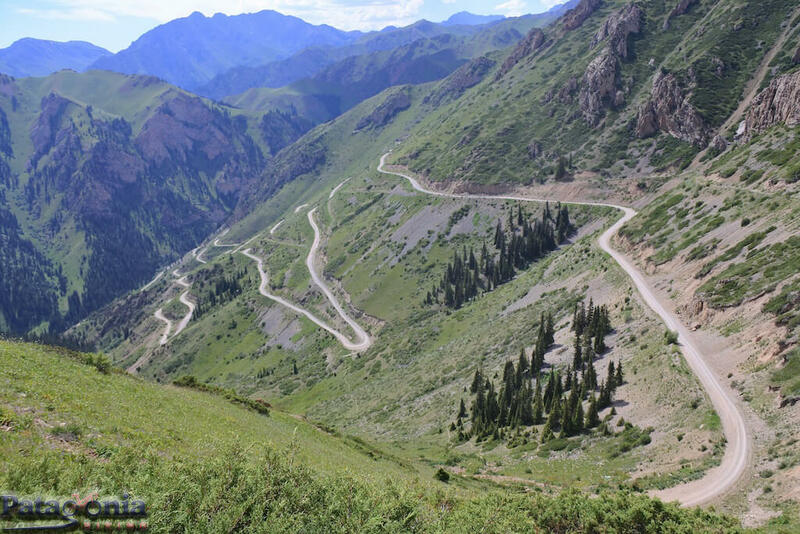 Kyrgyzstan is considered the Shangri-La of Central Asia. 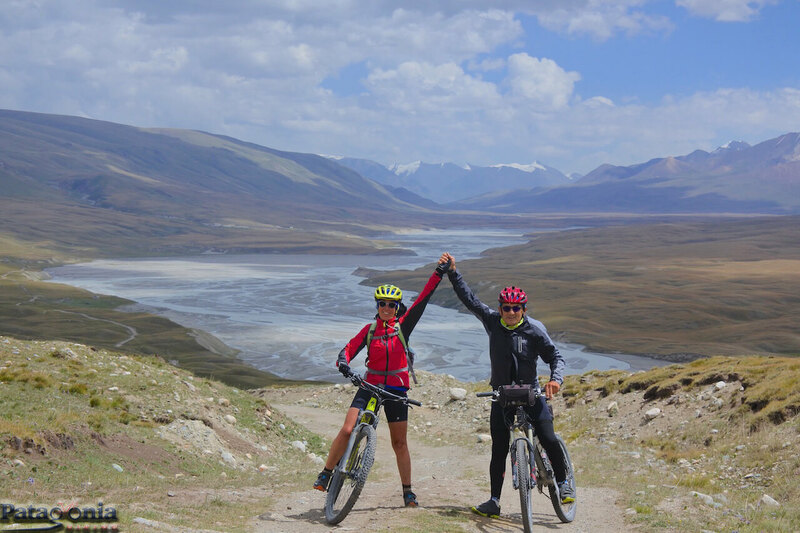 It is a small nation whose predominantly mountainous territory is surrounded by vertiginous peaks belonging to the central Tian Shan chain and Pamir Alay. 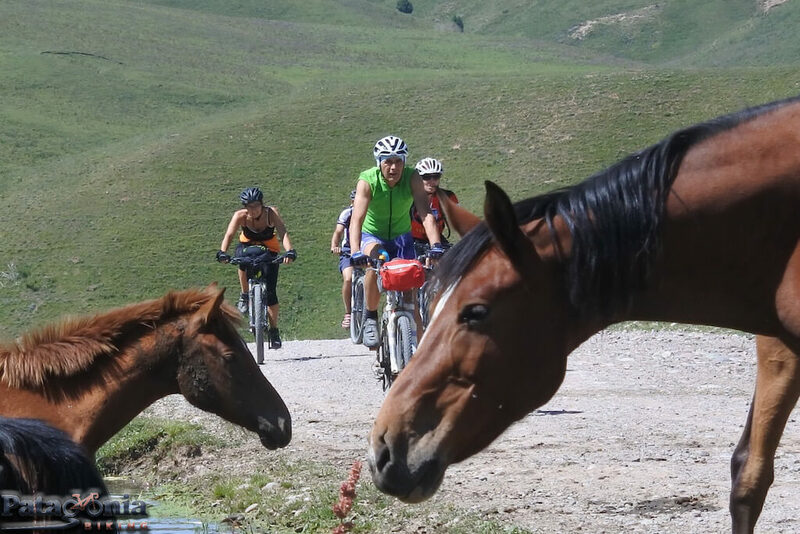 Our journey will wind through places of great scenic and historical charm. 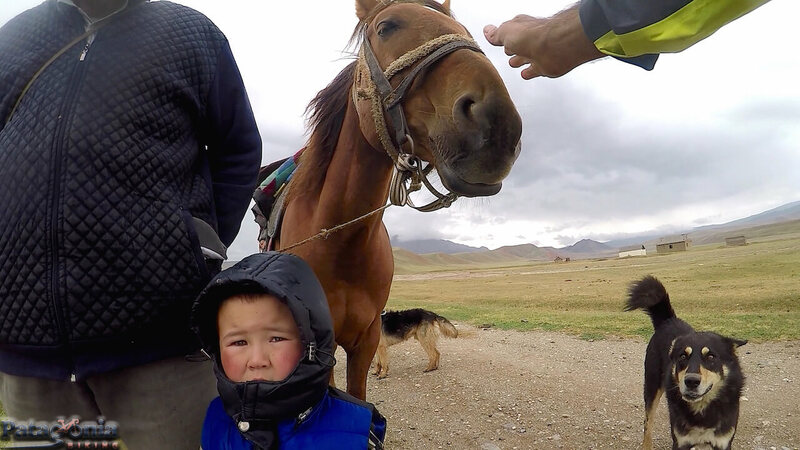 In part on the traces of the caravans, which crossed the ancient “Silk Road” and partly in the territories inhabited by the Kyrgyz Nomads, who for centuries, continue to live in the yurts near their animals. 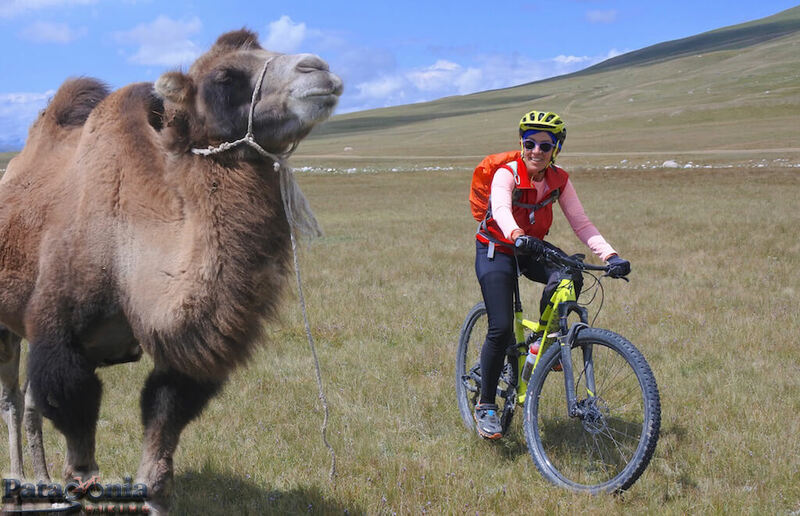 We will go biking among green hills, snowy mountains, steppes, small deserts, near lush rivers and calm mountain lakes. 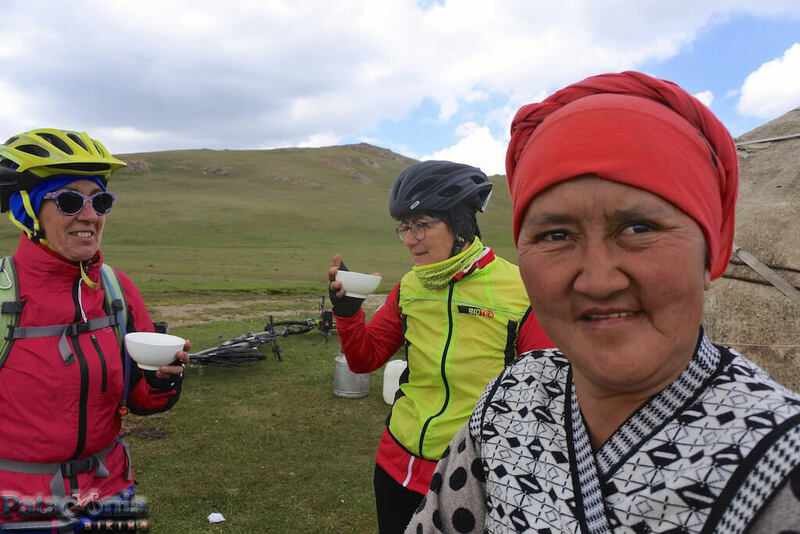 We will experience the hospitality of nomads who will not miss inviting us to their typical home (yurta) for a cup of tea or Kumys. 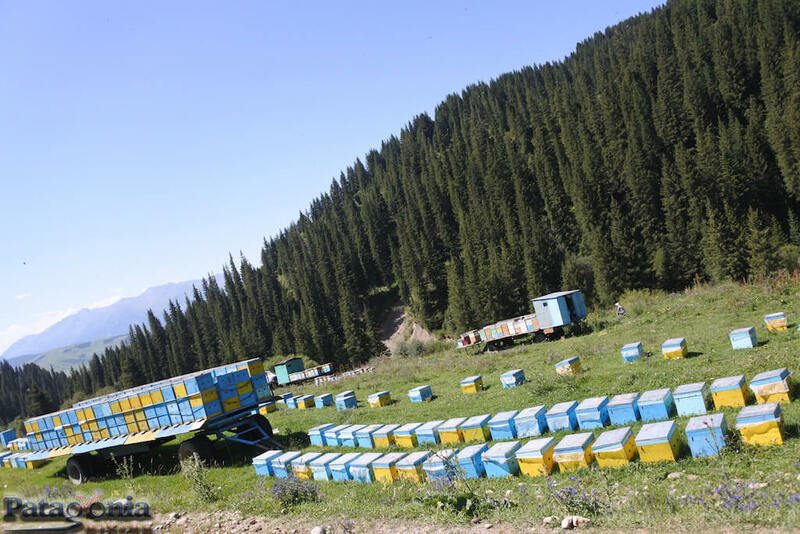 The meeting will be in a hotel to be designated in Bishkek (700m). Short rest in the hotel, bicycle test and preparation of the material. 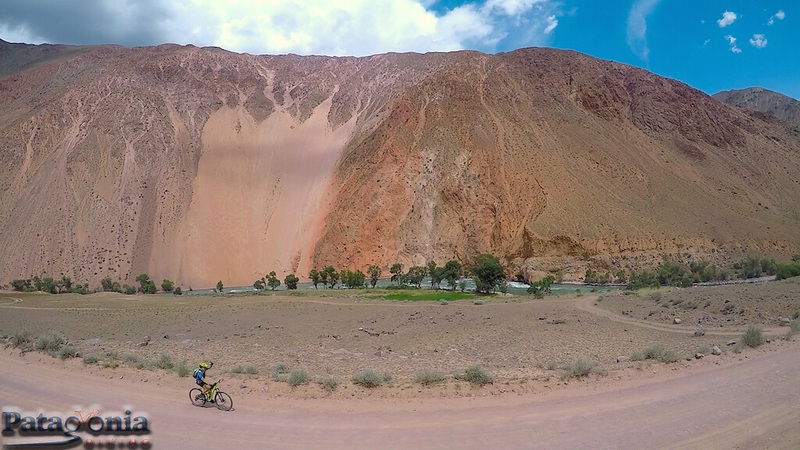 30 kms transfer by truck to the Chon-Kurchak Gorge Canyon (2000 m).Downhill biking near a river with green mountain views and snowy peaks. 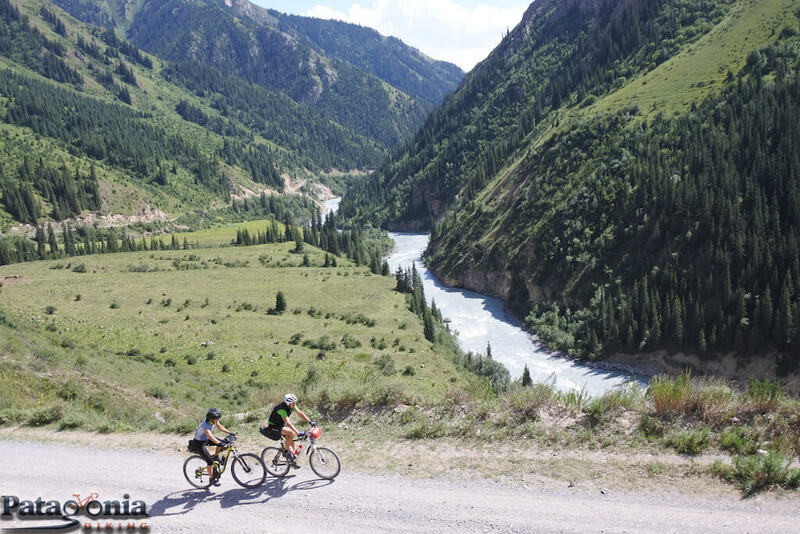 Transfer to Suusamyr, we will start pedaling in the valley bearing the same name towards the picturesque canyon of the Kokomeren River and we will pedal with the sight of its powerful waters. 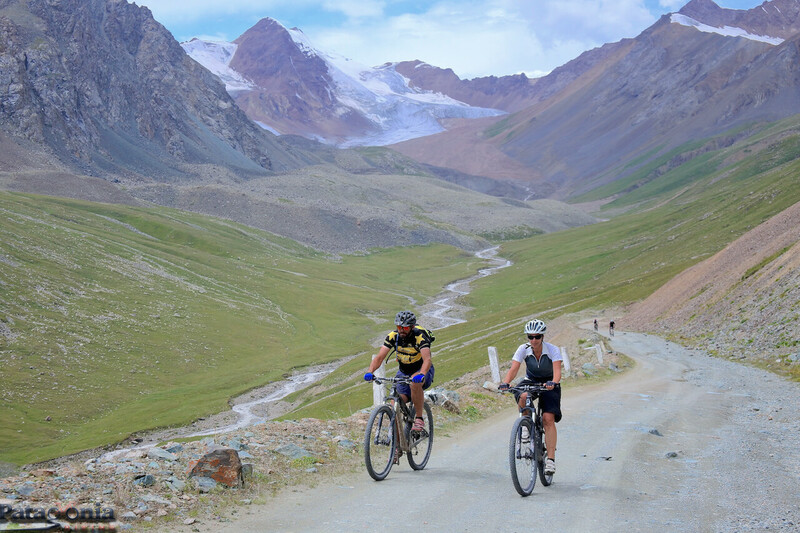 Difference of height: +300 -1200 m.
By a narrow footprint, we will ascend to a pass at 3228 m, making a very steep section. Where we will be rewarded with a spectacular view of Lake Song. 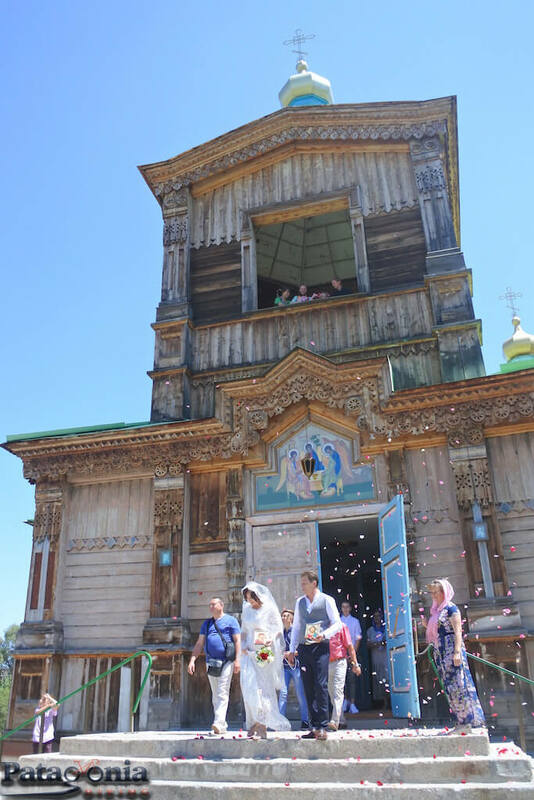 We will visit some nomad families and see how they live and will taste some of their typical products such as kumys (fermented milk), airan (yogur), kurt (dry cheese). Day 4. 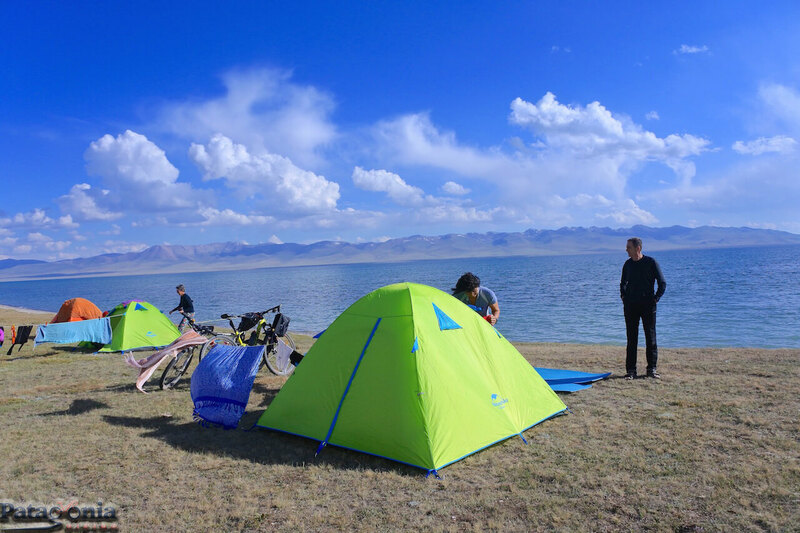 Lake Song-Kul (3000m)- Narym. 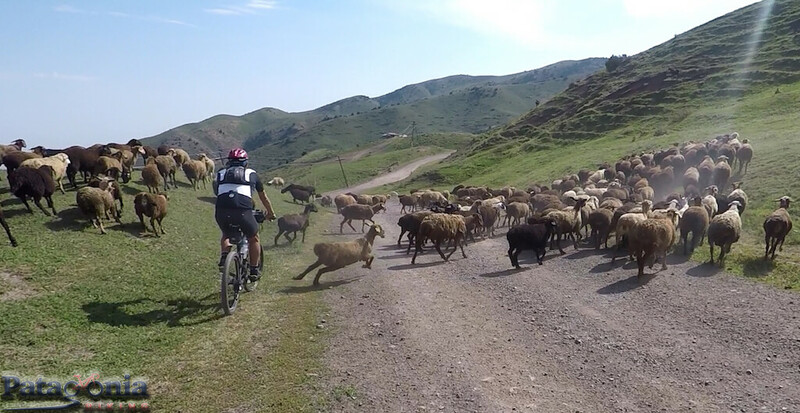 Pedalearemos a orrillas del lago Song-Kul y luego descenderemos a un espectacular valle por un zigzageante camino (2500m). 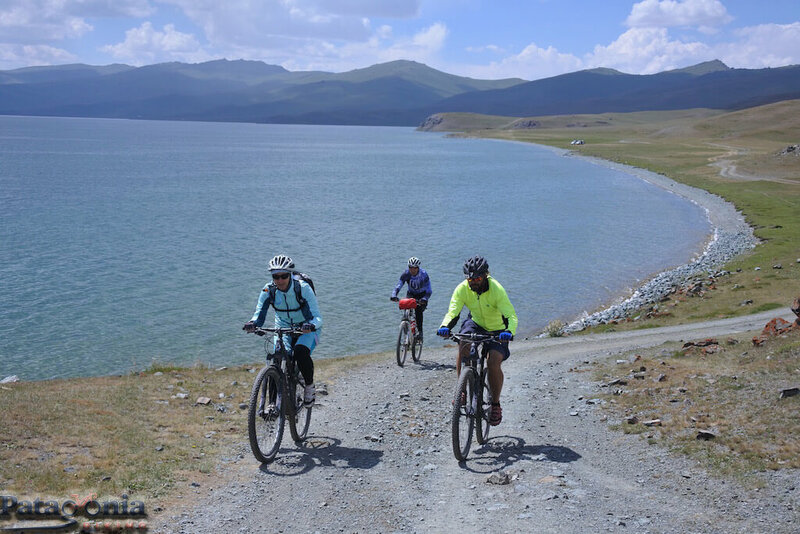 We pedal along the shore of Lake Son-Kul and then descend to a spectacular valley by a zigzag path to (2500m). 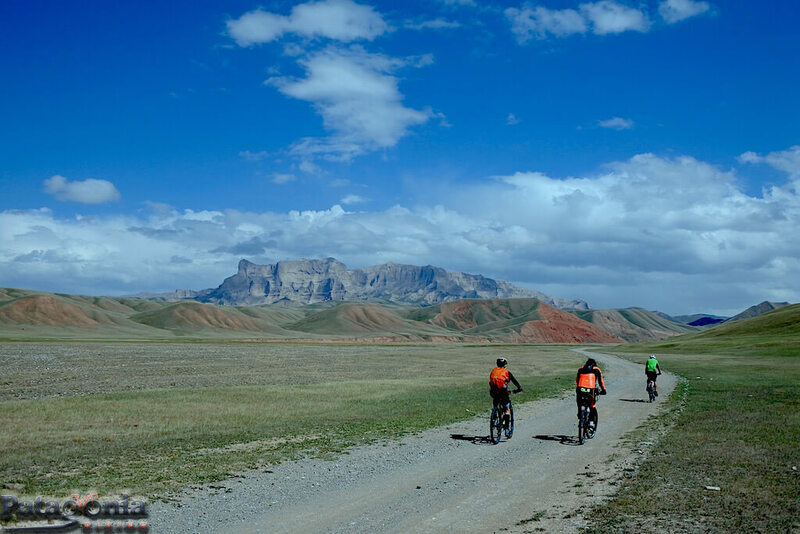 We will go biking through the canyon of Eki-Naryn, a very ancient place. 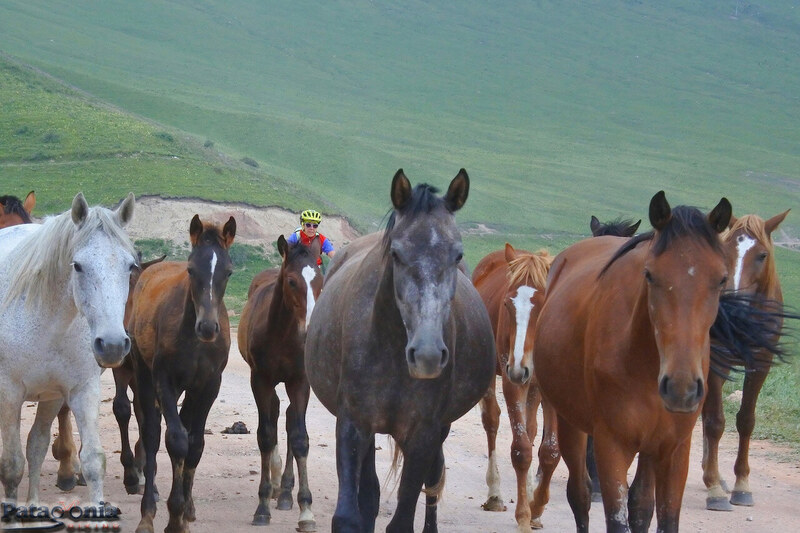 We will ride the first 17 kms on a stony walk with the view of the majestic Tian-Shan (heavenly mountain) chain. Overnight: Camp near the Boulgart River. Day 6. River Boulgar (2470m)- Jilu-Suu (thermal waters) (3000m). 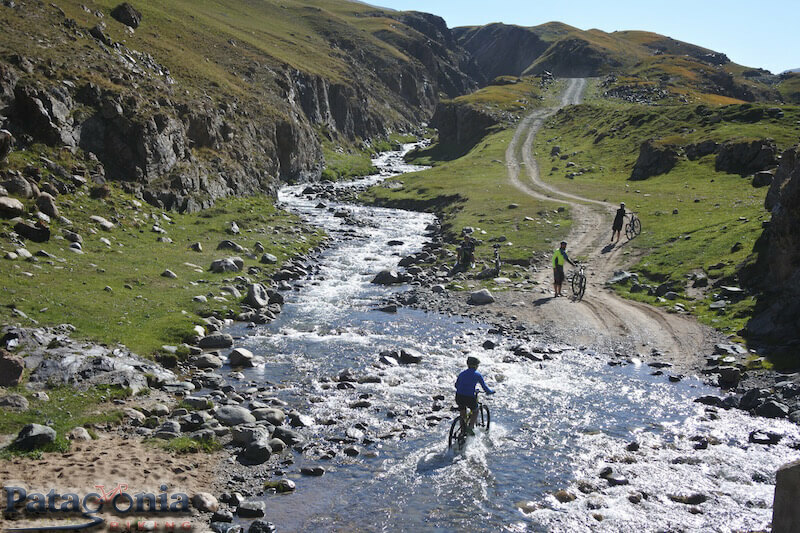 We will run several cold water streams before reaching the Jilu-Suu thermal waters where we can take advantage of a refreshing bath. 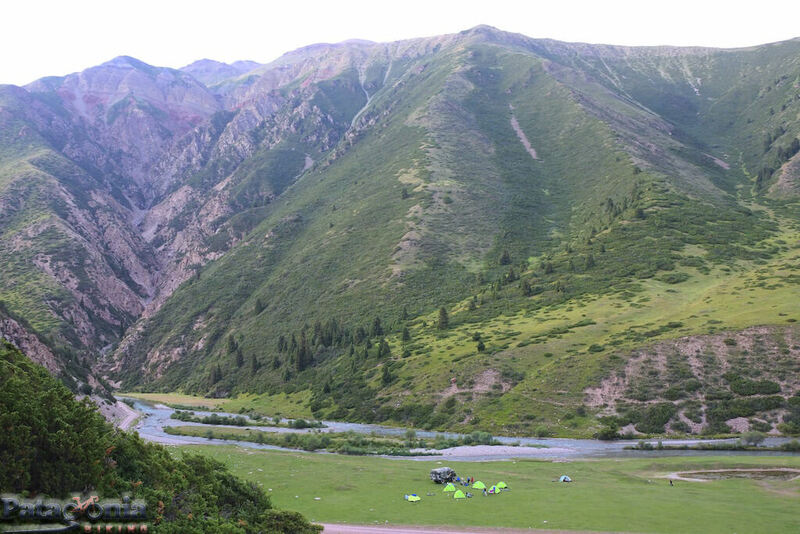 After camping and having lunch, for those who want to, there will be a chance to go trekking (13km) and reach the beautiful lake of Teshik-Kul at 3500m. A suggestive place also for the sight of perennial glaciers. Day 7. 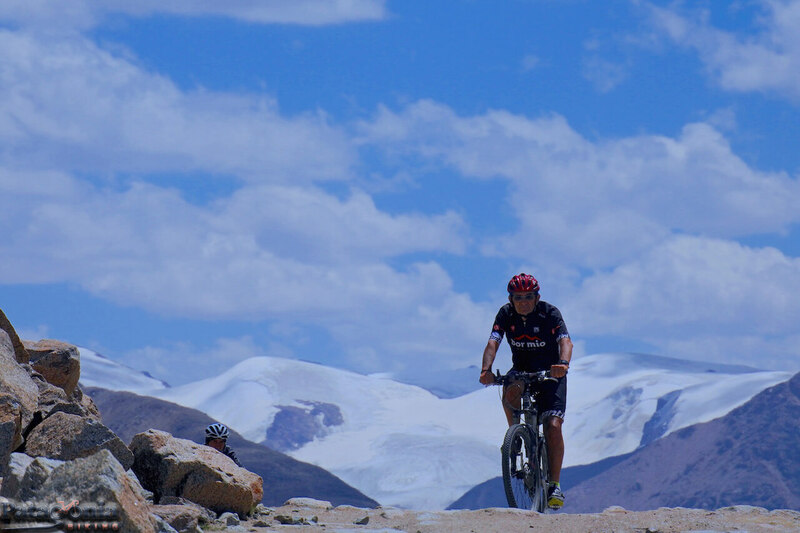 Jilu Suu (3000m)- Tosor Pass (3893m)- Tosor (1650m). 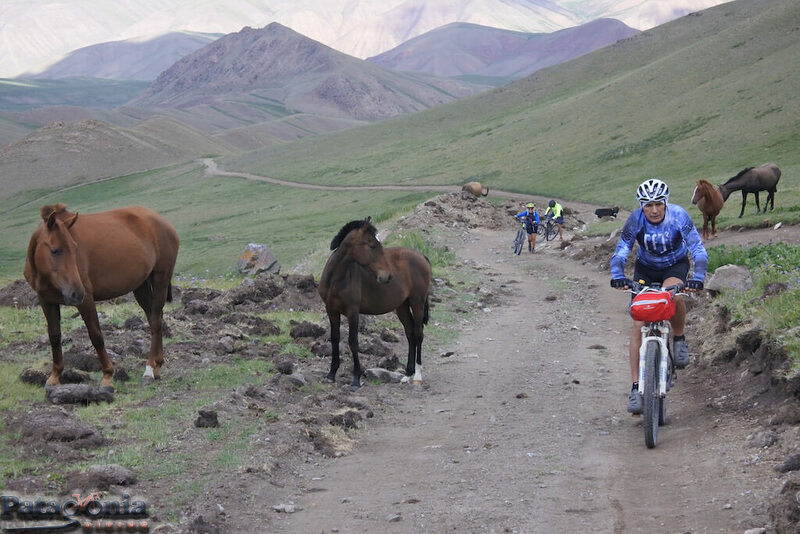 In 37 kms we will reach the Tosor pass (3893 m) the highest point of the trip. 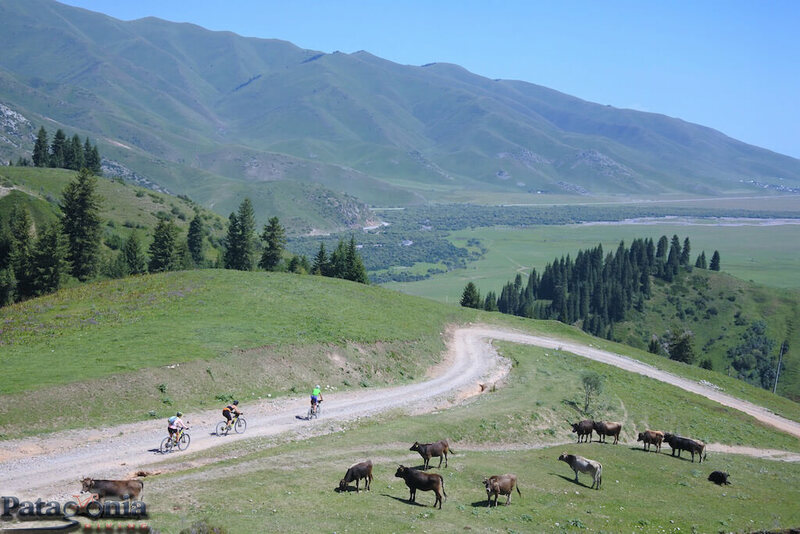 A long 35 km downhill with peaks and yak grazing views will take us to the shores of Lake Issyk-Kul. 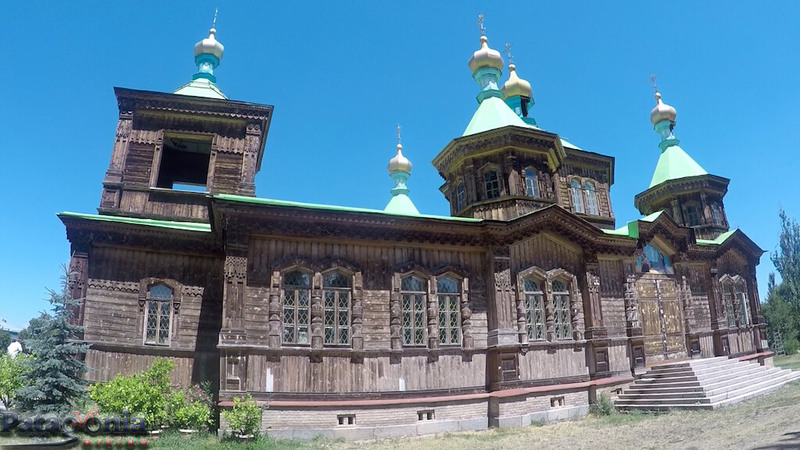 Difference in height: + 1050 – 2200 m.
Overnight: guest house in Tosor. Day 8. 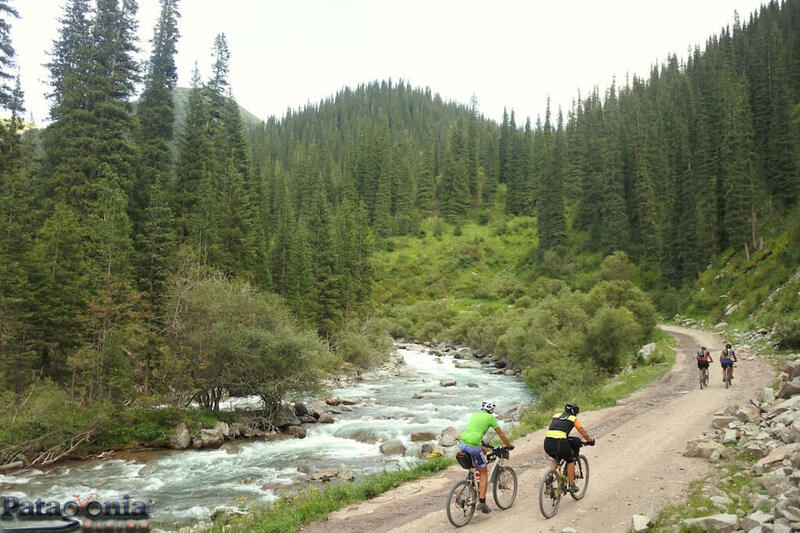 Karakol Village (1700m) (rest day). 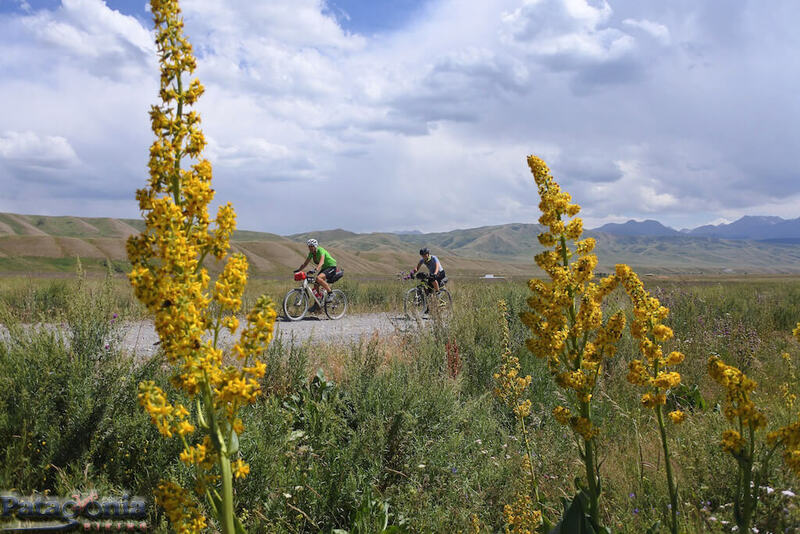 Overnight: guest house in Karakol. 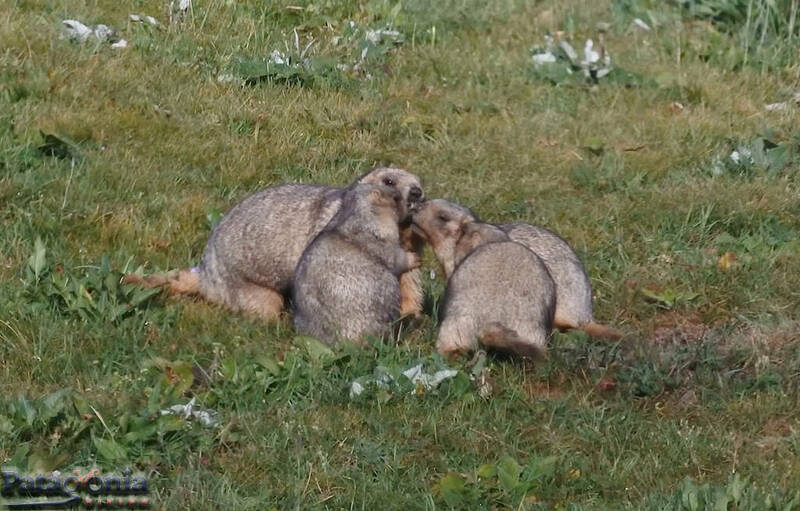 Day 11. 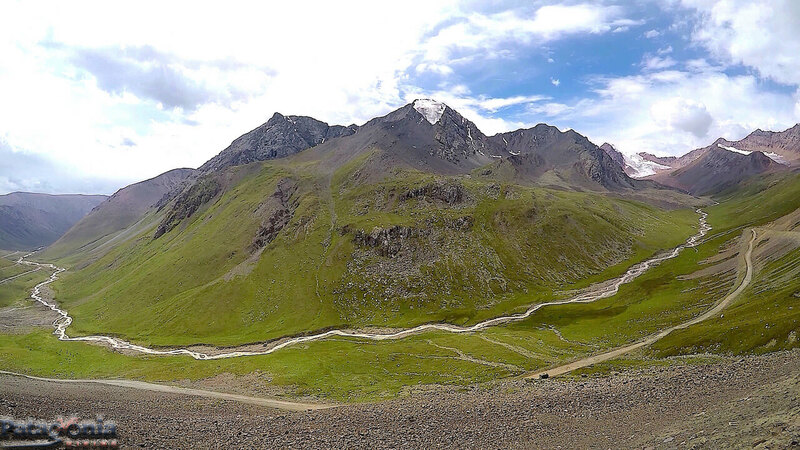 Valley of Sary Djaz (2840m) – Ak Bulak (1860m)- Karakol City. 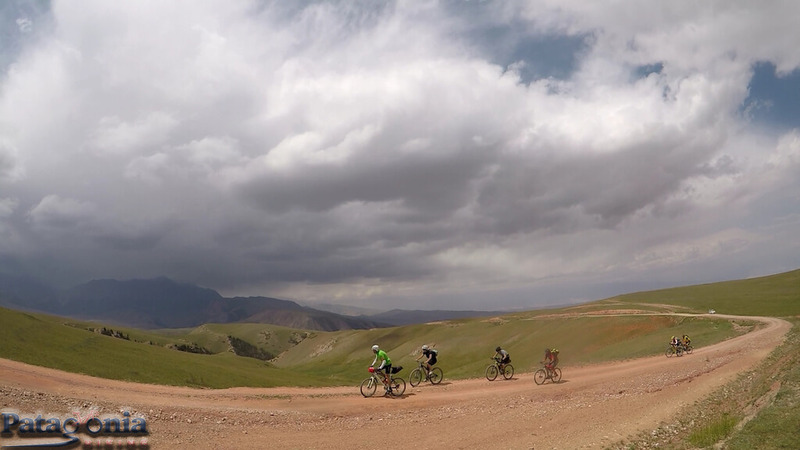 In 35 kms we will reach the Ashuu pass (3822m). 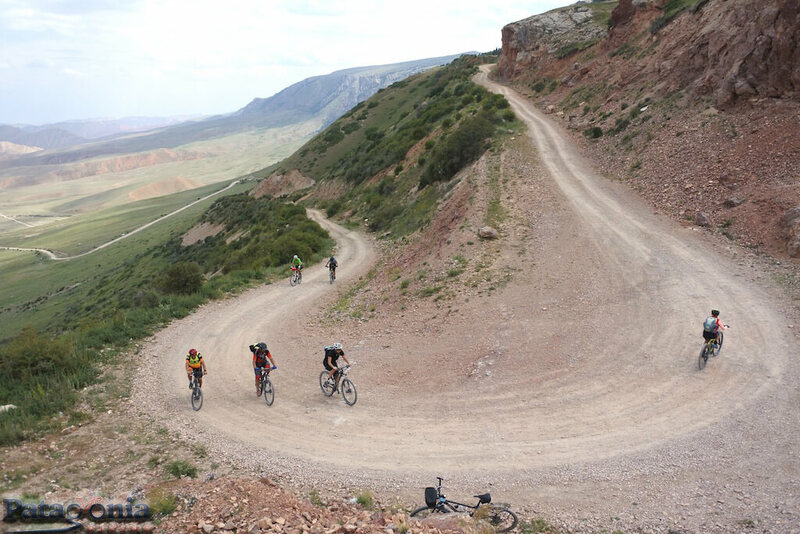 We will descend pedal the picturesque Turgen Aksuu Gorge enjoying the view of alpine woods and panoramic views. 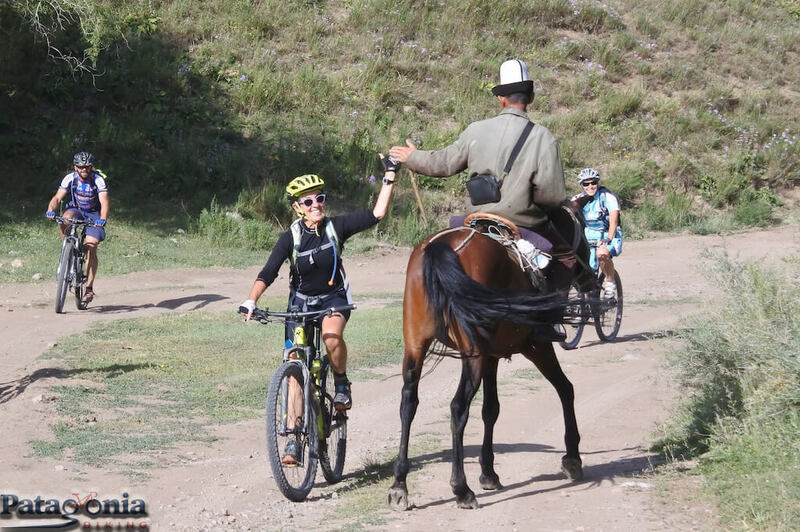 Transfer to Karakol. 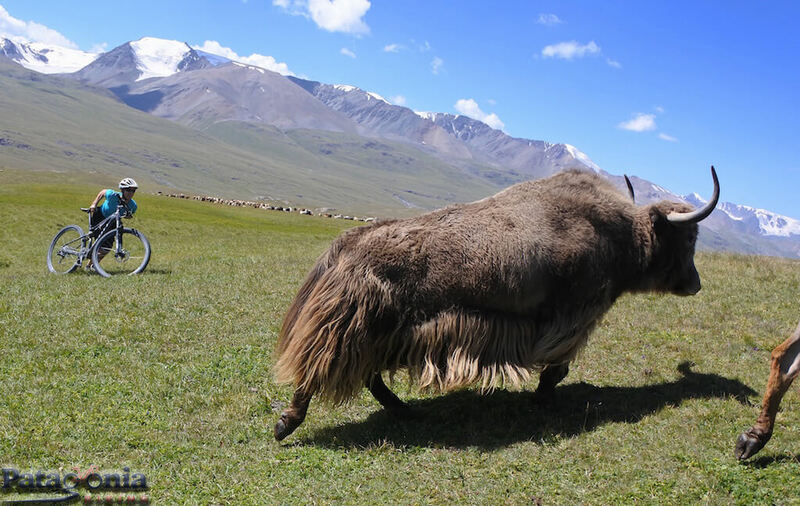 Difference in height: + 1400 – 2300m. Overnight stay: in guest house. 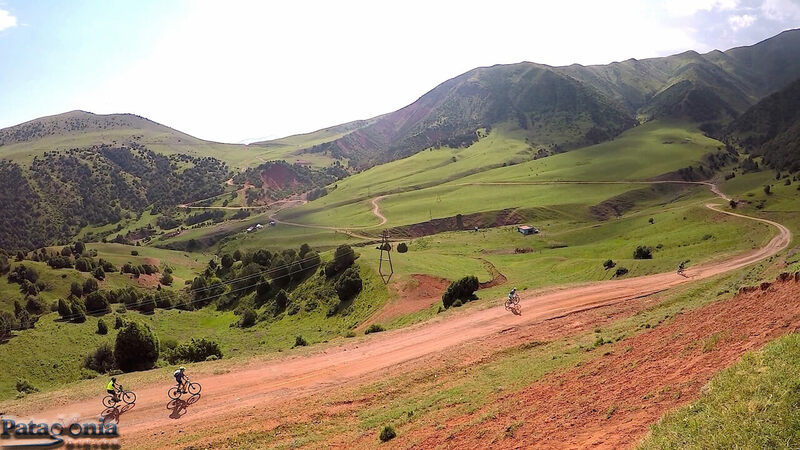 Transfer to Bishkek (400km), to the north of the magnificent Issyk-Kul lake. During the journey we will stop visiting the city of Cholpon-Ata for a visit to the collection of hieroglyphics (III AC). - Conon, of the Kokokeren. 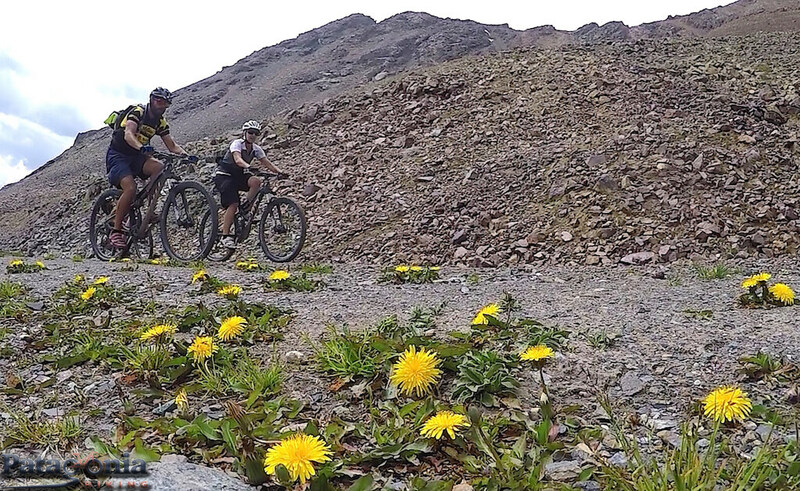 - Paso de Tosor (3893 m), the highest of the route. 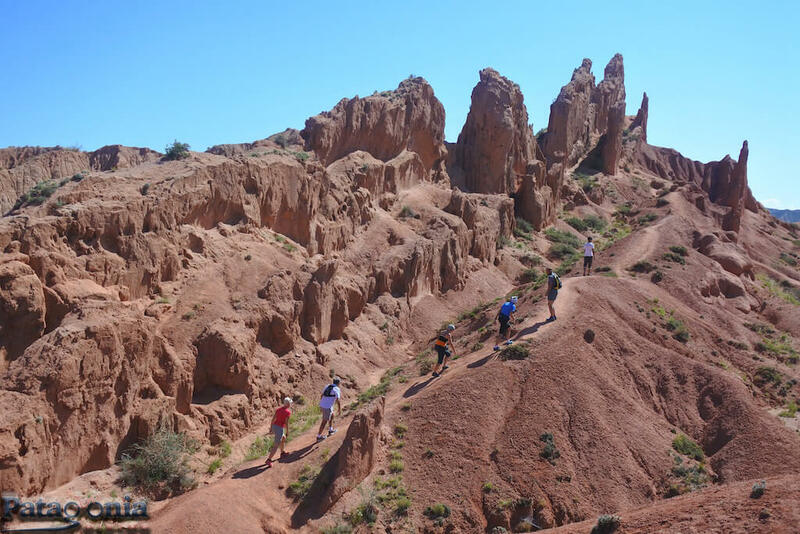 - Lake Issyk-Kul Lake (1700m). 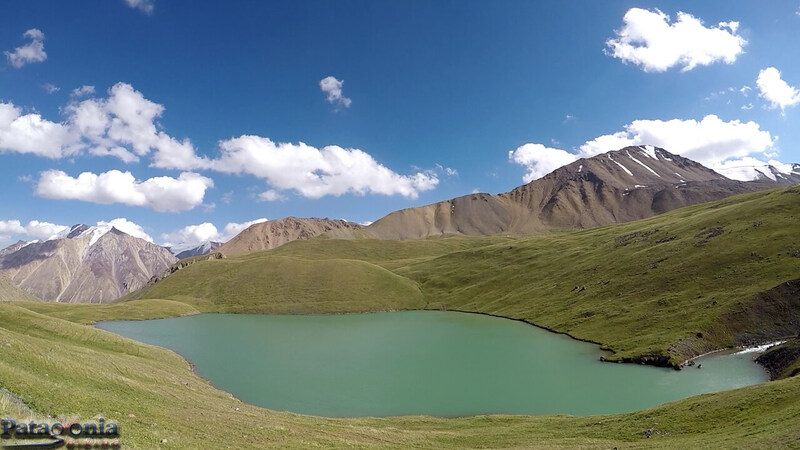 UNESCO World Heritage Site and the largest alpine lake in the world. - Sary-Djaz and Karkyra Valley. During the journey there will be several transfers. 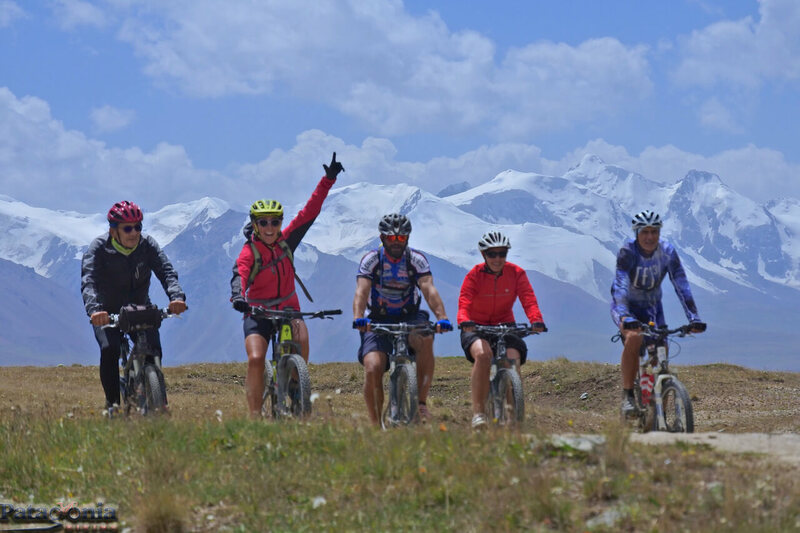 Kyrgyzstan is a special place for people who love nature, for those who can appreciate camps in remote areas and enjoy go biking along routes and tracks even in the extreme environment created by sudden changes in climate. 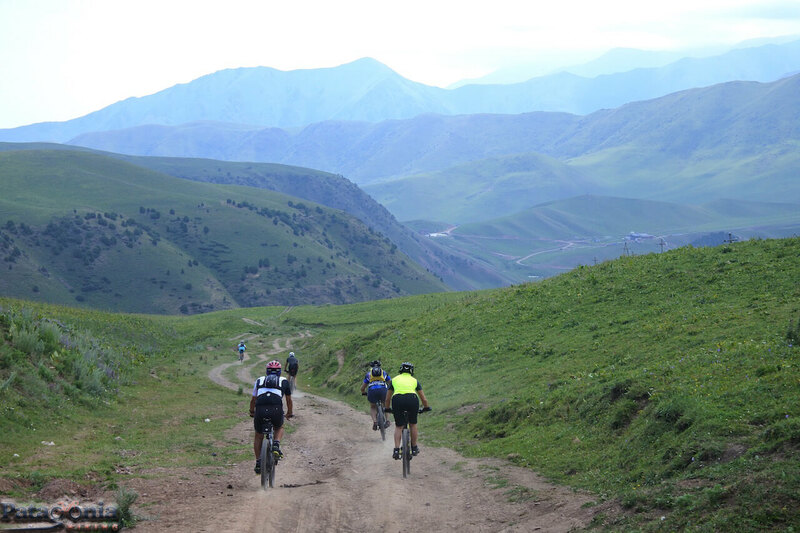 In summer in Bishkek (the capital), it can reach + 40° C and in mountainous areas, the night may drop to 0° C.
Well revised MTB, equipped with good grip tires. for practicable things, it is necessary to have the necessary luggage in one bag (possibly soft) and reasonable measures. Passport required, with a valid validity of at least three months from the date of entry into the country. No travel and / or business visa is required for stays of up to 60 days. 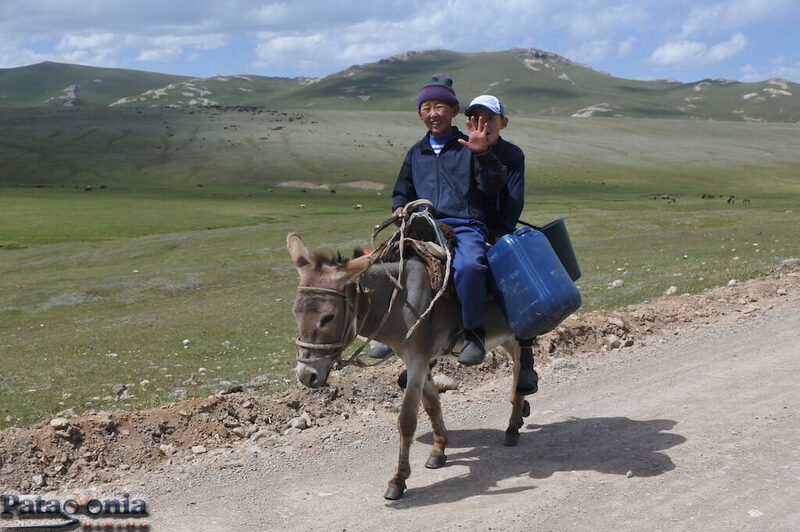 Supporting means of transport for carrying materials and participants. All entrances to museums and parks mentioned in the program. Food during the tour: The chef will take care of most meals (breakfasts, lunches and dinners). International flight Supplement for individual accommodation. 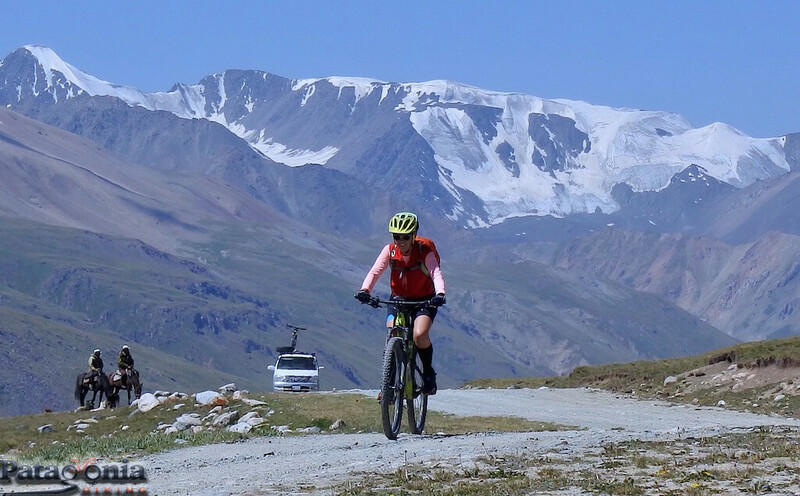 MTB rental (150 or 300 euros depending on the type of bicycle).Recent bikes are available from Giant, Author and GT brands. Personal expenses and extra food. Strong tires and good grip. 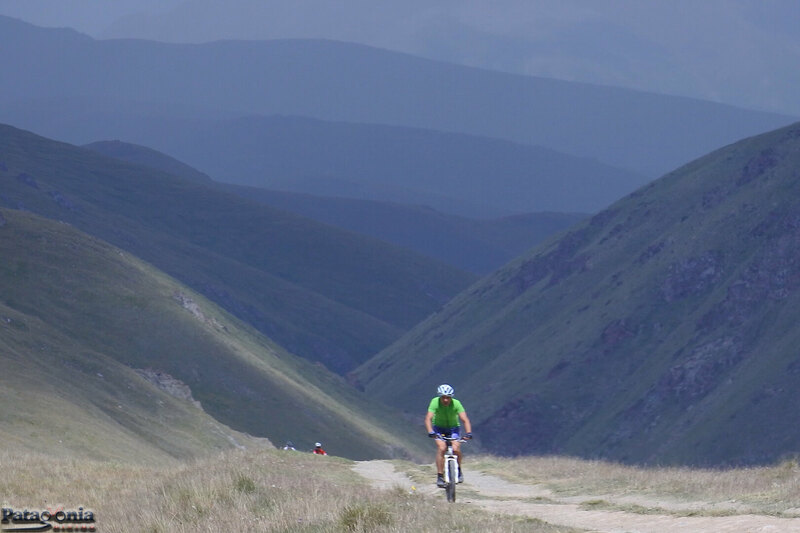 During the day, energy breaks will occur, but it will be good to wear some fingers and energy gels. 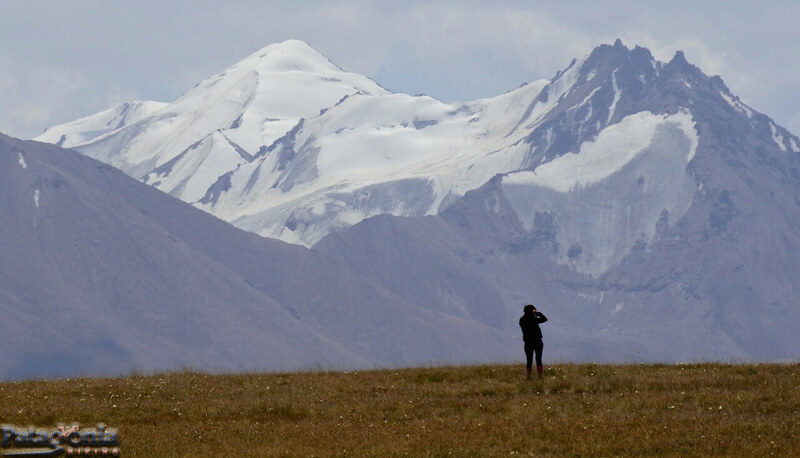 Keep in mind that temperatures in Bishkek (capital) can reach + 40° C while in mountain regions can reach 0° C by night. These temperature changes should be handled with technical material, overlapping layers of clothing in cold places and removing them by increasing temperatures. It will be appropriate in the respect of all to bring the strictest necessary. Sleeveless and whole windproof jacket. shoes for pedaling and sturdy sports. front stack with new batteries. The meeting is scheduled at Bishkek Airport in the early hours of the morning.